This partnership with ShipStation gives our users access to the best solution on the market to manage their orders’ fulfillment flow. ShipStation, e-commerce’s most robust and fully featured web-based shipping solution, has completed an integration with GeekSeller, a multi-channel listing and inventory management solution that allows online retailers to manage their Jet.com seller accounts. GeekSeller’s app provides Jet.com sellers with an administrator panel to manage inventory and process orders faster and more efficiently.. Launched in July 2015, Jet.com is a free online shopping site dedicated to saving customers money in many ways. It was acquired by Wal-Mart in August 2016. The fast-growing company sees more than 400,000 new shoppers added every month and processes an average of 25,000 orders every day. GeekSeller is an officially approved Jet.com partner that offers an affordable API integration solution. It provides customers the ability to manage inventory, edit products, and import items in bulk via CSV/XLS file, or directly from a shopping platform, as well as managing orders, returns and refunds. In addition, since Jet.com requires merchants to accept orders within 15 minutes of the order being placed, GeekSeller can automate the approval process of the orders. GeekSeller even provides GeekSeller Repricing, a functionality which dynamically adjusts its merchant’s prices to make their products priced lowest on the Jet.com marketplace. 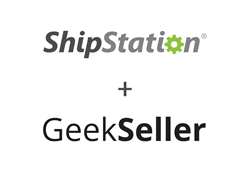 The ShipStation integration offers GeekSeller’s merchants the ability to save time and money on the shipping and fulfillment process. ShipStation’s features include a free Stamps.com USPS shipping account (savings of $15.99 per month), which includes deeply discounted USPS rates; automation features that provide the least expensive shipping option based on type of product, weight and geography; order consolidation from multiple sales channels including Amazon, eBay and many more; batch printing of more than 500 shipping labels at once, even wirelessly, from a large variety of thermal or desktop (inkjet or laser) printers, from a Mac, PC, or mobile device and more. ”This partnership with ShipStation gives our users access to the best solution on the market to manage their orders’ fulfillment flow,” offers Daniel Sodkiewicz, GeekSeller Co-Founder. ShipStation is the leading web-based shipping solution that helps e-commerce retailers import, organize, process, and ship their orders quickly and easily from any web browser. ShipStation features the most integrations of any e-commerce web-based solution with over 150 shopping carts, marketplaces, package carriers, and fulfillment services. ShipStation's many integration partners include eBay, PayPal, Amazon, Etsy, BigCommerce, Woocommerce, Shopify, Squarespace, and Magento; along with carriers such as FedEx, USPS, UPS, Canada Post, and DHL. ShipStation has sophisticated automation features such as automated order importing, custom best practice rules, product profiles, and fulfillment solutions that enable its users, wherever they sell and however they ship, to be exceptionally efficient at shipping orders. ShipStation is a wholly-owned subsidiary of Stamps.com (Nasdaq: STMP). For more information, visit http://www.shipstation.com. GeekSeller is an officially approved partner by Jet.com. We offer an affordable API integration solution (no limits on the number of SKUs and orders, month-to-month billing, cancel anytime, no setup fee) with free customer support via phone, chat, and email. GeekSeller supports all Jet.com API options, along with Jet.com repricing and multichannel fulfillment. We also offer integrations with multiple e-commerce platforms (quantity, price and products data synchronization) and custom integration options. To learn more, visit https://www.geekseller.com/.